One-of-a-kind, custom, recently updated A-Frame home! 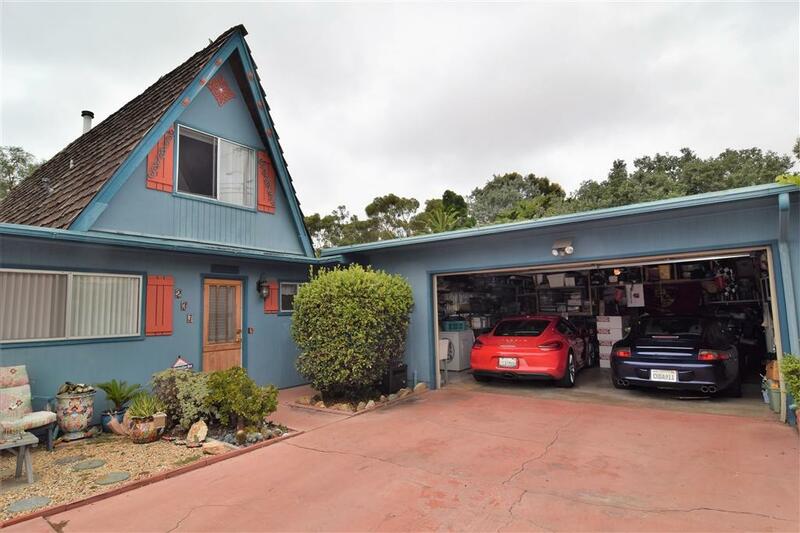 Enjoy ocean views from the spacious, desertscape fenced yard with koi pond, built in BBQ, & spa on a 10k+ sqft usable lot. 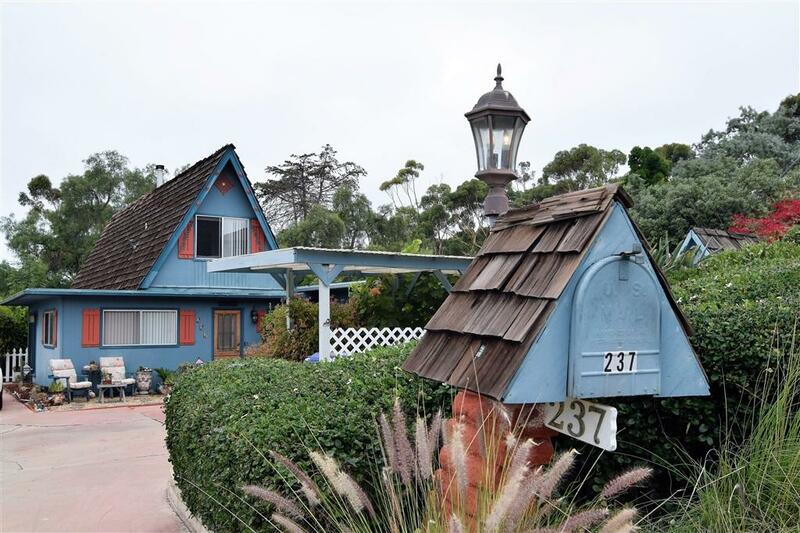 Home is well loved with a kitschy feel and tons of upgrades. Main floor bed and bath. 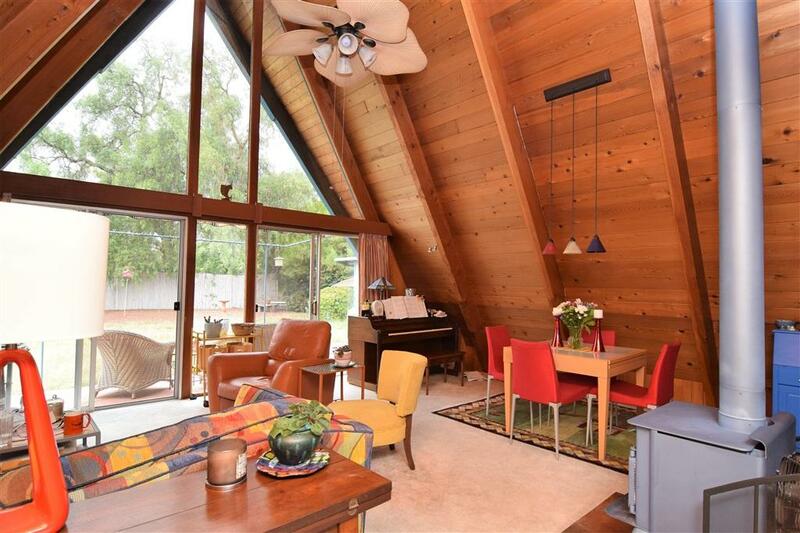 Vaulted wood ceilings in living room w/freestanding wood burning stove. Second level includes a loft, bedroom and 2nd bathroom. 2 car detached garage with remote and RV parking. Office trailer available as 3rd bedroom. Buddy Todd Park close by! 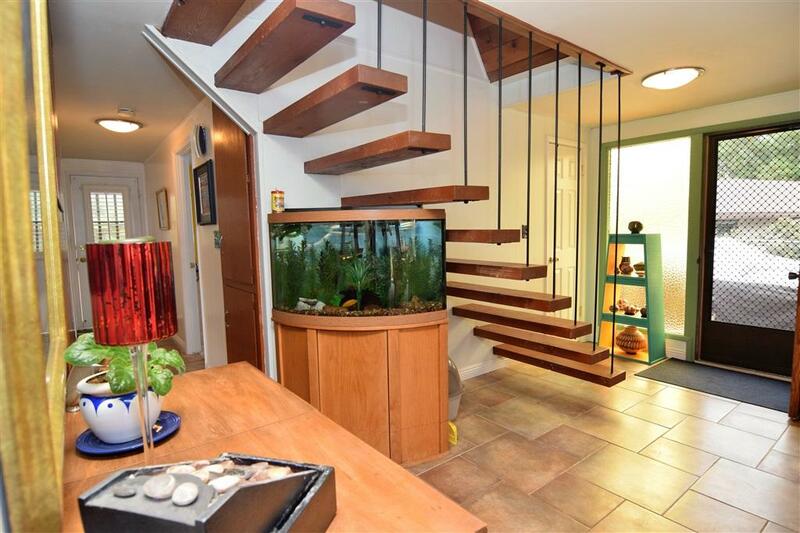 This home is unique and has a ton of charm. Owners have lived in and loved it for many years, and their pride of ownership shows. They have renovated room by room, and made it a one of a kind, kitschy space to call home. The lot it sits on is over 10,000 square feet, with ample space for RV parking, boat parking and additional guest parking. The backyard is impressive with ocean views, a koi pond fountain, outdoor fire pit, and built in BBQ. There are grape vines and several fruit trees including orange, lemon and guava. The entire yard is fenced, so bring your pets and know they will be secure. The 2 bedroom 2 bath home is cozy and quaint and there is an office trailer outside available as an additional 3rd bedroom or guest room. The home also has a relatively new gas heater. Just a couple miles from the beach, and a few yards away from the beautiful Buddy Todd Park. Don't miss out on this gem!